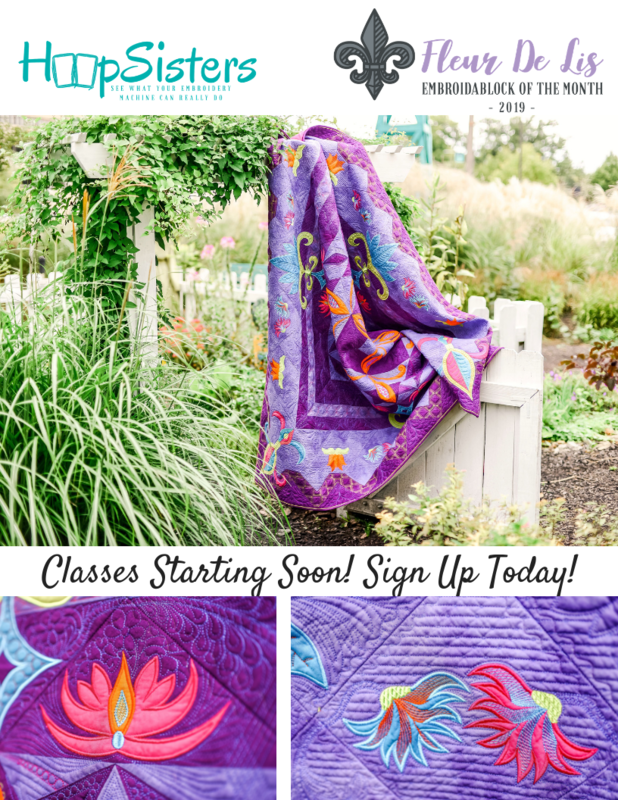 Hoopsister’s 2019 EmbroidaBlock of the Month quilt “Fleur De Lis” is a monthly class beginning in February 2019 for 10 months. You will learn the Hoopsisters’ unique technique of combining embroidery with piecing and quilting to make perfect quilt blocks in the hoop of your embroidery machine. You will have the option of making 5”, 6”, 7”, 8” or 9” quilt blocks to create this lovely quilt with optional border. Check out the Fabric and Thread Key and the Optional Colorways at Patty’s Sewing Center.